Corgi Yearling, 2004. Pages: 92. 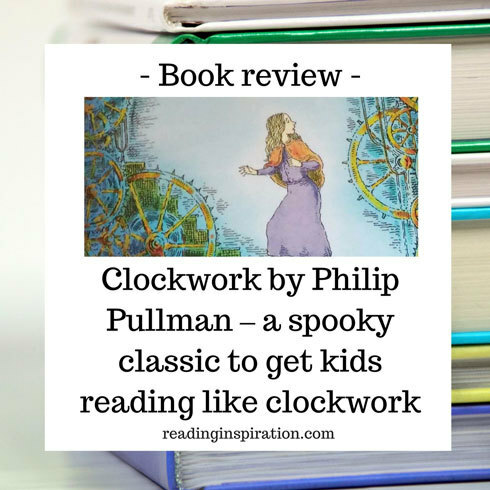 Clockwork by Philip Pullman is a mysterious tale. It’s perfect for young readers who love spooky stories. Reading it out loud together on a cold winters night – snuggled and cosy indoors – should be a real treat. Although not a new release, Clockwork is a new read for our household. The story begins in the small German town of Glockenheim. In the warm and cosy White Horse Tavern, the townspeople gather to keep warm and be sociable on a winter’s evening. The clock maker’s apprentice Karl, shares his woes with story-teller Fritz. Karl has failed to complete the major task of his apprenticeship. He should have built a clockwork figure to feature in Glockenheim’s amazing clock tower. The next day people will come from far and wide to see the new addition to the tower. The lack of a new moving figure will mean disappointment for them and humiliation for Karl. Fritz is about to tell a story to the crowd at the Tavern. Unfortunately he has not thought of an end to the story, it is unfinished but he is planning to wing it and see what happens. The odd tale is about Prince Otto and his young son Florian. Their hunting trip has led to the mysterious death of Otto but his body has returned with a moving clockwork arm. Clockwork’s complicated and satisfying structure provides twists and turns. As Fritz begins to speak, his story becomes another story within the book, and it’s characters come into the life of the town of Glockenheim as if the story itself is coming to life. There is a sudden shock when the sinister figure of one of Fritz’s characters actually walks in to the tavern and interrupts him in mid story-telling. Like the apprentice Karl, the unexpected guest Dr Kalmenius, is a maker of clockwork figures. Fritz’s spoken story springs to life, much like the clockwork figures featured. Terrified of the appearance of the character, Fritz flees. The artistic temperament! What nonsense! The narrator likens stories and characters to clockwork figures. Once set in motion they must keep moving to fulfil their purpose and bring the story to an end. More characters come into the story including kind-hearted Gretl. Eventually the narratives of the interlocking stories come together with a satisfying conclusion. 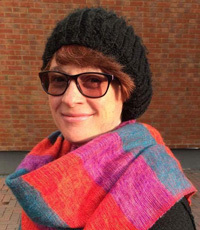 Age banding for Clockwork: Or All Wound up? Philip Pullman has joined many authors in speaking out against the age banding of books, so I will not provide an age recommendation for this book! I agree that it seems like a better approach to allow children to choose books according to their interest in them rather than on age banding. The story is a relatively short chapter book at 92 pages. It is broken up by charming illustrations and boxes of asides and information. Although it has complicated ideas and structures, the twists and turns will keep a young reader engaged and immersed in the book’s world. This book is a good choice for a child who is a fairly confident reader and certainly any child who is excited by mysterious spooky stories. Clockwork is often studied in primary schools in KS2 and is a great text for exploring character development. For less confident readers, and at home, this book can be great for an adult to read out loud or alongside the child. It’s great fun and interesting to talk through the events of the story together. The book is a rewarding read for adults too – especially for those of us who appreciate mystery and intrigue! Have you read this or other books by Philip Pullman with your children? Is story-telling part of your routine and traditions? What are your favourite spooky reads? Please share in the comments below. If you liked Clockwork, you might also enjoy The Stormkeeper’s Island by Catherine Doyle. Check it out here. Find out about other children’s fantasy and magical books like this here. Check prices of Clockwork: or All Wound Up here. Great recommendation. Think our 9 year old will love this. Love what you say about the age banding of books. We find that our daughter will choose books which are aimed at kids that are older and younger than her. Personal preference I guess. Fantastic, yes, absolutely I agree it is best to let the kids choose what works for them! It does have that traditional fairytale feel about it, especially the way bad characters get punished, sometimes in grim ways! Yes, I love that aspect, having grown up with stories lie Hansel and Gretl and Little Red Riding Hood, which when you think about it were certainly quite grim!